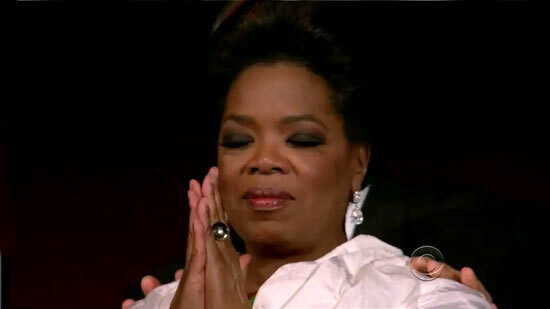 Last night on the Kennedy Center Honors on CBS Oprah Winfrey was the first one to receive her award. Not only did my song,“I’m Here”, co-written with Brenda Russell and Stephen Bray, from my musical, The Color Purple, get played during the montage of Oprah’s life but it was then sung to her live by Jennifer Hudson, backed by the choir at Oprah’s alma mater, Tennessee State University. 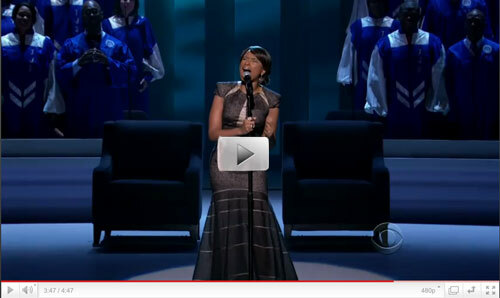 It was a spectacular moment, not only for Jennifer Hudson and Oprah, but for me as a songwriter, who rarely gets to hear their music performed in a way they imagine it while writing as so many songs mutate from a fabulous little gem to an unrecognizable life form once they’re in the hands of an artist or producer. In my case, I’ve been blessed to see this particular song performed spectacularly by an bevy of fantastic singers and actresses, most notably Fantasia, LaChanze, Jeannette Bayardelle and Hudson. 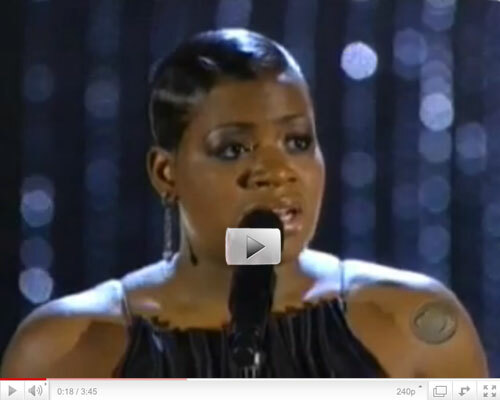 Here’s Fantasia, who played Celie, who WAS Celie, on Broadway for a year as well as for many months on the First National Tour, singing “I’m Here” at the Tony’s in 2007. I would’ve much rather shown you Fantasia in costume as Celie singing “I’m Here” as it’s performed in the musical but it’s one of the quirks and, to me, one of the most backwards and archaic practices of musical theater, that they don’t allow performances to be filmed. Which means that unless you were one of the 1,000,000+ people who saw The Color Purple on Broadway you not only will never get to see LaChanze, the brilliant actress who originally starred on Broadway as Celie and won a Tony for her performance, but you will never get to experience the show as it was originally conceived. As such, all you can do is stare at this CD cover for the next 4 minutes while you listen to LaChanze sing “I’m Here”. How beautiful does LaChanze sound and how dumb is it that you can’t see her?! Or that you can’t see Fantasia, who lives the life portrayed in “I’m Here”?! And the same for Jeannette Bayadelle, one of Celie’s understudies on Broadway who graduated to the lead role for the First National Tour. There are scattered and muffled pieces of Jeannette singing the song on YouTube, taken on cameras snuck into the show, but that’s not the way for you to see these great singers and actresses and it’s certainly not the way for you to see the show. 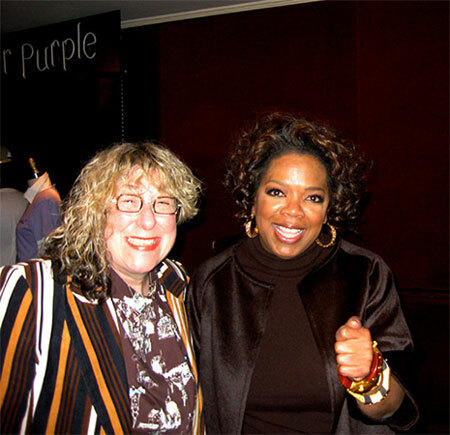 My Song Sung to Oprah on The Kennedy Center Honors TONIGHT, Tues., Dec. 28! Sorry this is so last-minute (not as sorry as I am for that crazy smile on my face) but if you have a chance to catch or TiVo The Kennedy Center Honors tonight, Jennifer Hudson is singing my song, “I’m Here”, to Oprah when she gets her honor. 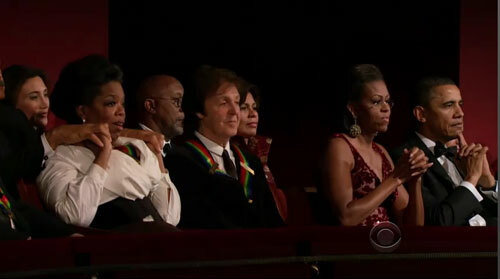 The Kennedy Center Honors are on CBS, I think at 9 pm. I’m told it’s toward the beginning of the show but with this said, you never know how things are going to be edited and whether the song is going to be there or not. But I have a lot of friends who were there and said it’s fantastic. 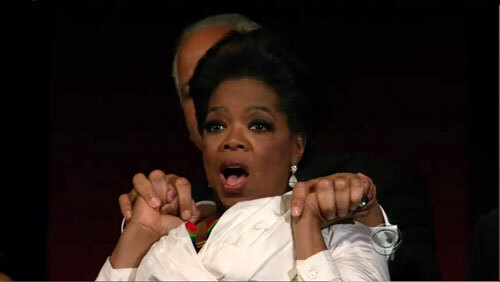 Of course, it’s a great honor to know that “I’m Here” is part of such an honor for Oprah! 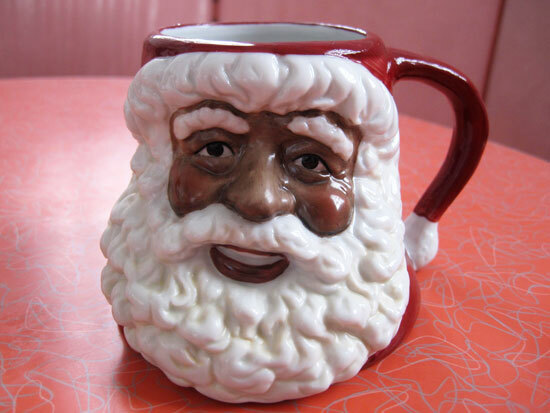 Wishing you love, peace, soul, and a very Merry hot chocolate Christmas! 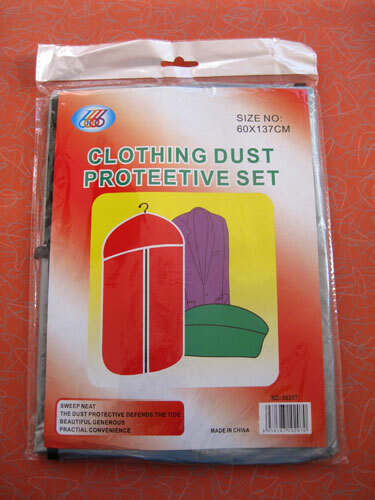 99¢ and discount stores in general are fabulous all year round but there’s no question that the season they shine most at is Christmas, when all stops are pulled out and the shelves are packed with more crap than even a kitsch loving aKitschionado such as myself can absorb. 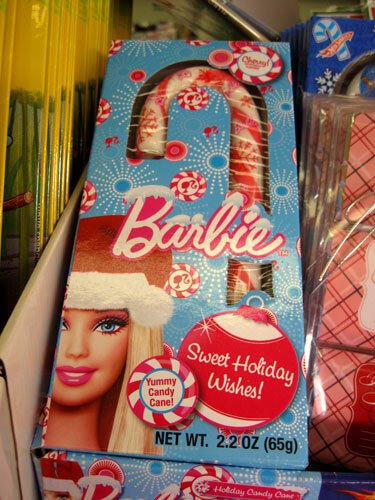 These stores at this season offer the perfect storm of circumstances for me, especially as I needed some Christmas arts and crafts supplies to make Pigmy Will Christmas ornaments. If I wanted anyone serenading me with Christmas carols it would be Elvis. 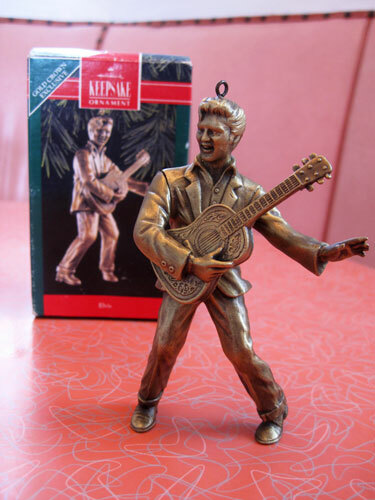 This Christmas ornament of The King captures his 1950′s essence complete with slim body, pompadour and up-curled lip though some 1970′s puffiness is starting to invade his cheeks. 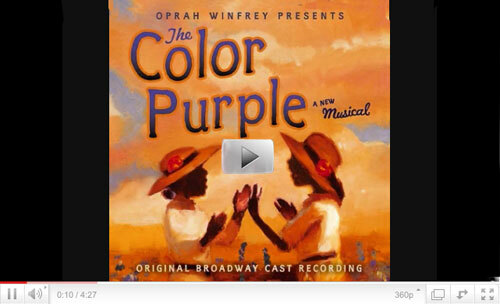 Last weekend I drove down to San Diego to see a performance of my musical, The Color Purple. I rarely get a chance to see the show but when it’s anywhere near LA I choose which performances I’m going to see by which town has the best thrift shops and then I make a whole trip out of it. For this performance I mapped out all the second hand shops between LA and San Diego. But we left too late so dealt with the shopping jones in one antique mall in Solana Beach on the way to SD. 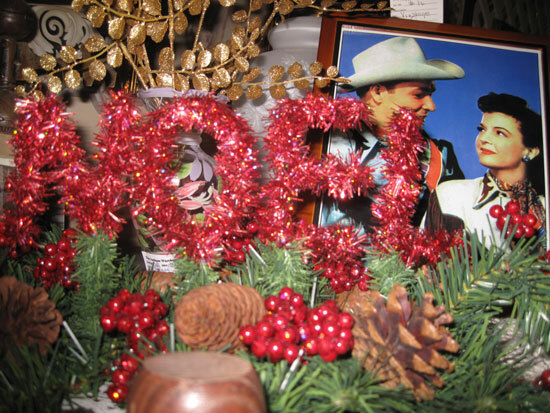 I especially love antique malls this time of year because the Khristmas Kitsch comes out in full force. 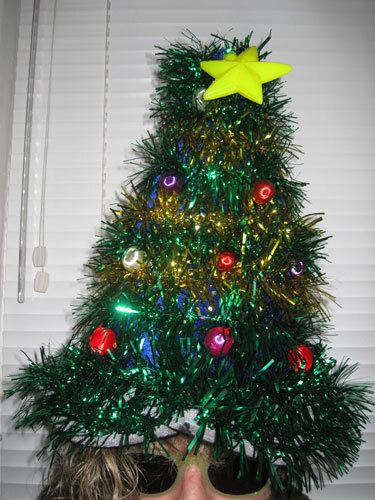 I always love this time of year in LA because the Christmas parties really kick into high gear. 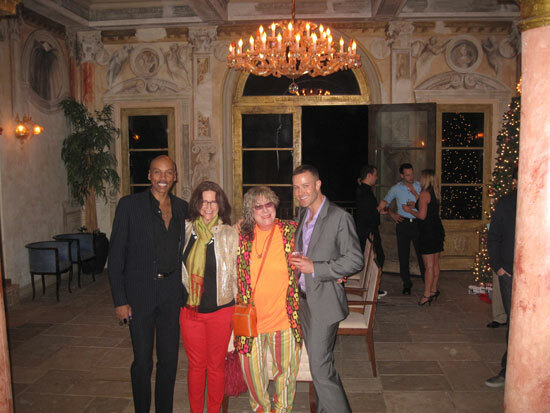 There aren’t as many of them this year because all pennies are being pinched but there was a killer one last night at a house RuPaul is renting for the month for just such holiday festivities. The added bonus last night was that it was our mutual friend, Tom Trujillo’s, birthday. There’s nothing especially kitschy about all of us – except me I guess – but we all embrace our vast love of kitsch in the way we live and entertain. In Ru’s case, the house he rented takes appreciation of the genre to staggering heights. Writing and Recording with DMC! Nothing especially kitschy here but soulful and slammin’ and I’ve always been a massive Run DMC fan so was most excited to be in the studio yesterday writing, recording and singing with DMC! 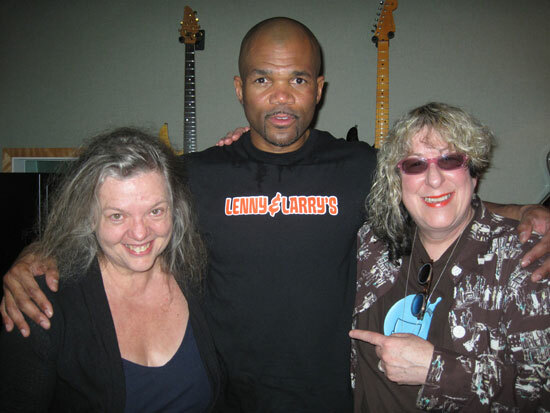 My friend Gail Zappa, pictured with us, married to Frank and mom of Dweezil, Moon, Ahmet and Diva, set it all up as DMC’s producer, the great Jared Lee Gosselin, was recording in Frank’s studio.